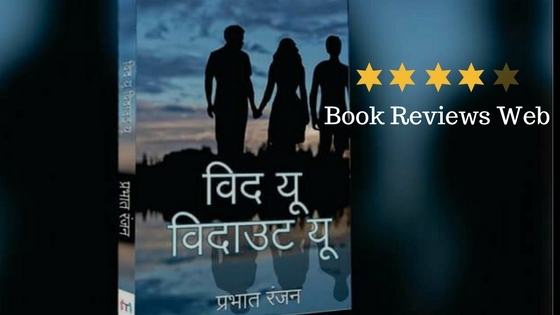 A novel written in Hindi, it has everything which makes the readers involved in the plot and also exchanges thoughts with the characters. As a reader who has read so many books, I was not instantly impressed with the book as I began reading it. It seemed just like another ordinary novel which begins with a flashback into the past – you will find Nishind mulling about some ‘crime’ that he has committed long long ago. Nishind, Rami and Aditya are the important characters in the novel who play the major episodes. All three friends grew up together and studied with each other. As soon as enter the gates of youth, complications arise. Nishind falls in love with Rami and Rami is in love with Aditya. The love triangle gets further complicated when Nishind tries ‘something’ to separate Aditya and Rami and he succeeds too. However, this ends up everything and the three friends are parted. Rami goes somewhere else with her family and Aditya also vanishes. Nishind is left with a heavy heart which is in sorrows for the ‘sin’ committed and he is in constant and perennial pain for the same. All these events are coupled with a very persuasive writing of the author Prabhat Ranjan who tries to play a master-narrator with his voice-over work on Nishind. Nishind is the person who is narrating the story in With You; Without You. Many episodes are there on which Prabhat Ranjan has his views to offer. He talks about the modern infections which have made a home in our daily lives and we are on a constant regression towards nothingness. He also talks about love and relationships and the family and its effects on the lives of youth. Rami is a great example of this thing – her parents are not going well and she also feels that someone he loves would be faithful or not because she has seen her father and mother fighting over the petty issues. For the readers who are curious, the novel ends happily and Rami is successful in finding the love of her life? Is it Aditya? Or is it Nishind? That is something which the readers will find for themselves when they read the novel With You; Without You themselves. You can get a copy of the novel from the Amazon India link below and make your weekend pleasant. Also, you will be witnessing of the significant writers of the modern generation who is going to make his impact on the modern Hindi literature very soon. Happy reading!